IHeartRadio Jingle Ball Tour Lineup and Dates Announced Reviewed by David Zeck on October 10, 2018 . Music fans rejoice, with the holiday season upon us the annual IHeartRadio Jingle Ball Tour Presented by Capital One has been announced. One of the biggest spectacles in music returns in 2018, bringing some of the biggest acts in music. The tour will include stops in cities like Dallas, Los Angeles, San Francisco, Minneapolis, Boston, Philadelphia, Washington D.C, Miami and Tampa, Atlanta, New York, and Chicago. Jingle Ball has become one of the biggest and most anticipated events over the last 20 plus years, IHeartMedia stations across the U.S host Jingle Ball concerts in their local cities and feature performances from both upcoming and iconic music talents. This year New York’s Z100’S Jingle Ball will take place on December 7th returning once again to the legendary Madison Square Garden. The event will be heard across 100 IHeart Radio stations as well as be live streamed on the CW Network via CWTV.com and their CW app. Capital One will once again be the national partner, now for its fourth straight year. As part of their sponsorship, Capital One cardholders will be the first to get the opportunity at tickets for the most demanded event around. Cardholders can obtain tickets through a special IHeartRadio pre-sale in each city. 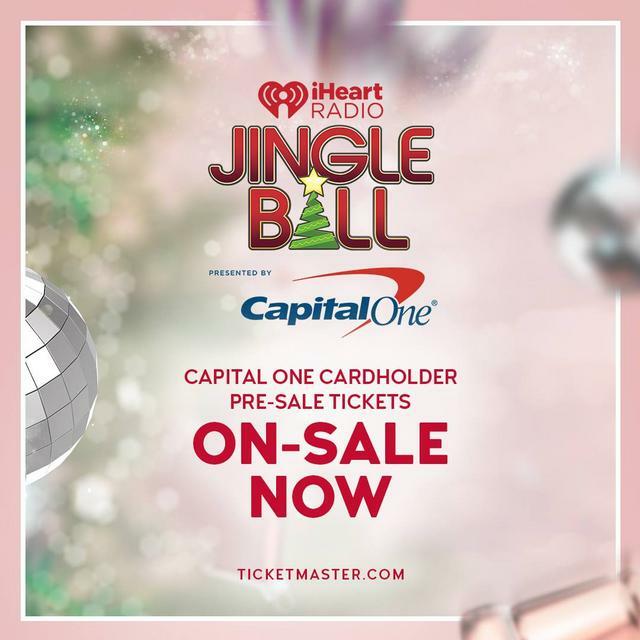 The iHeartRadio Jingle Ball Capital One Cardholder Pre-Sale will begin on Wednesday, October 10 at 10 a.m. local time and go through Saturday, October 13 at 10 a.m. local time, or while supplies last. Tickets will be available at www.iHeartRadio.com/CapitalOne. 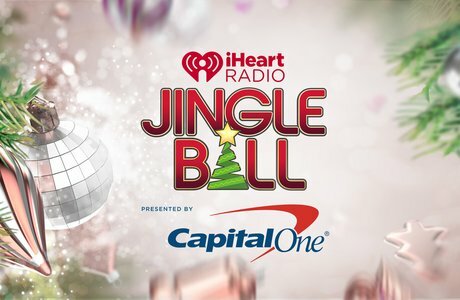 All tickets go on sale to the general public on Monday, October 15 at 12 p.m. local time and will be available for purchase at www.iHeartRadio.com/JingleBall. Exclusive Capital One Premier Access Packages will also be available in Los Angeles, Chicago, and New York during the iHeartRadio Jingle Ball Capital One Cardholder Pre-sale, while supplies last. In addition to the Capital One Cardholder Pre-Sale & Premier Access Packages, at each of the tour stops, one lucky Capital One cardholder will have the opportunity to announce an artist on stage. To learn more about these exclusive cardholder opportunities, visit www.iHeartRadio.com/CapitalOne. 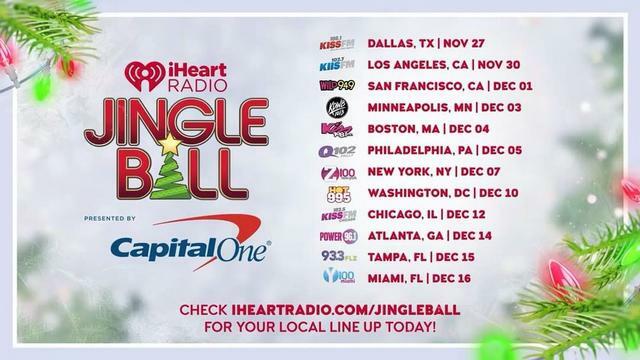 December 7 – New York, N.Y.
December 10 – Washington, D.C.
Visit www.iHeartRadio.com/JingleBall for more information.